For people who suffer from irritable or severe scalp conditions such as Eczema, Psoriasis, Dermatitis, Severe Dry Skin and Dandruff. Save when buy both products together. Special Promotion £30 | You Save! 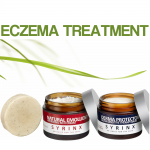 Safe for all the family, Syrinx Za is suitable for those suffering from eczema, psoriasis, dermatitis, dry scalp and dandruff. 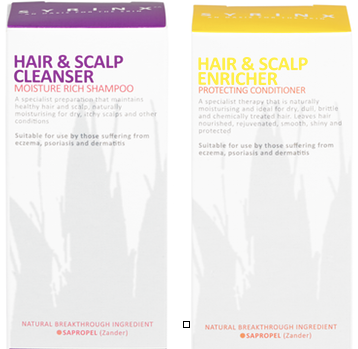 The Syrinx Za hair care range will soothe, calm and treat scalp conditions by reducing itchiness, redness, inflammation and flaking. While our hair and scalp products will help maintain great looking hair full of vitality and body, remember that the Syrinx Za hair and scalp products are not just cosmetics; they have been developed specifically for people prone to suffer from eczema, psoriasis, dermatitis, dry scalp and conditions that lead to flaking and dandruff.. Please contact us if you have any questions regarding our hair and scalp products. I have suffered for a very long time with dry flaky and itchy dandruff scalp. So I decided to Google a shampoo that could help me clear it. That’s how I came across this product, the delivery was very fast and I used the products on my hair yesterday and I can confirm that this is by far the best purchase I have ever made to clear my dandruff. I am very impressed and will recommend this product to anyone with scalp problems. Thank you so much for the feedback, we are delighted you are enjoying the product.